I don’t remember when I first heard his music. But I do remember the impression it left: what the hell? I listened through the eighth symphony the other day while reading through the IMSLP score. I was twitching throughout the entire thing. The music repelled me – repelled me in a way no other music ever had. And I couldn’t explain why, which made me even twitchier. I GUESS MAYBE BECAUSE EVERYTHING FELT AS IF IT WAS IN CAPITAL LETTERS! EVERYTHING WAS LIFE OR DEATH OR BRASS OR TREMOLO FOR SEVENTY-FIVE MINUTES STRAIGHT! AND JUST WHEN I THOUGHT IT WAS ALMOST OVER I LOOKED AT THE CLOCK AND SAW THERE WAS STILL AN HOUR LEFT TO GO OH MY GOD SOMEONE GET ME OUT OF HERE! Finally, some of the stuff that I really love to write. Reviews are great fun, too, of course, but essays on the great female violinists are my favorite. I hope you enjoy. This was originally published on violinist.com in August 2010. Link here. Last year I heard that violinist James Ehnes was going to be performing the Chausson Poème and first (posthumous) violin concerto of Béla Bartók in Door County, Wisconsin, in August of 2010. As I read about the program, I immediately became intrigued by the virtuosa violinist Stefi Geyer, the woman who had inspired Bartók to write his concerto. The story is fit for a novel, and the First Concerto, if it does not reach the musical heights of the Second, is nonetheless incredibly beautiful and personal and heartfelt. It deserves to be heard more often than it is. Thanks to James Ehnes and conductor Victor Yampolsky for programming this relative rarity, and for bringing my attention to Stefi Geyer, who, as I write in the essay, is an extraordinary musical figure and worth remembering even aside from her association with Bartók. If you have anything to share about Stefi Geyer, please write me. Thank you to all of the people who I wrote to who contributed their knowledge and expertise on the subject. In early 1908, violin virtuosa Stefi Geyer received a letter from an old school friend. In a previous note she had told him that, despite his intense passion for her, she could never entertain the idea of ever marrying him. This letter would contain his response. She no doubt felt some trepidation as she opened the envelope. Stefi Geyer knew full well what this cryptic message meant. In happier times her friend had written her a violin concerto as a testament of his love for her; now, he was appropriating one of the themes from it for a string quartet and twisting it into a bitter song of death. Incidentally, this quartet was the first in a series of six that turned out to be the most important string quartet cycle of the twentieth century. For this was no ordinary school friend: this was Béla Bartók. Stefi Geyer was born into a middle-class Catholic family on June 28, 1888 in Budapest. At the end of the nineteenth century, Budapest was one of the most beautiful cities in the world, with a colorful history stretching back nearly two thousand years. In 1849 the two cities of Buda and Pest, separated by the Danube River, had been joined by the elegant and technologically groundbreaking Chain Bridge, sparking an economic revolution between the two cities. As a result there was an explosion of growth throughout the last half of the nineteenth century – musically, intellectually, and architecturally. Budapest’s magnificent opera house was finished the year of Stefi’s birth, and the grand Parliament building, begun in 1885, was finished the year she turned sixteen. The boulevards were wide; there were charming cafes on every street corner; and the music scene could stand comparison with Vienna’s. The conservatory in Budapest had been founded by none other than Franz Liszt, and over time boasted such students as Ernst von Dohnányi, Jenő Hubay, Zoltán Kodály, David Popper, Fritz Reiner, and Georg Solti. Stefi was the daughter of a member of the Budapest police force who was an amateur violinist himself. She began her music studies at the age of three and immediately showed extraordinary promise, such that she gave her first public concert at the age of seven in 1895. She was accepted into the studio of Jenő Hubay, a teacher at the Budapest conservatory. 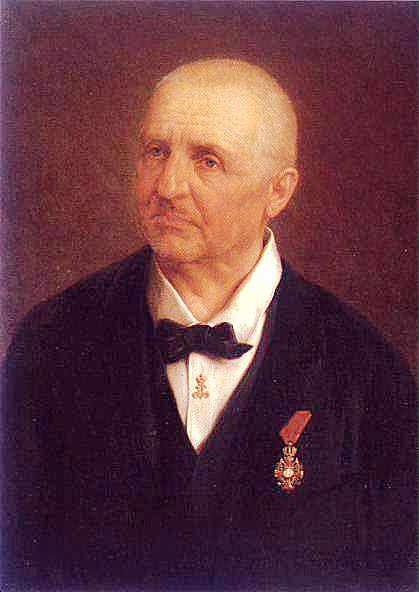 Hubay, today perhaps most famous for his compositions for the violin, had studied under Joachim and was friends with such luminaries as Vieuxtemps and Liszt. Stefi’s fellow students included Josef Szigeti (1892-1973); Jelly d’Aranyi (1893-1966), the inspiration for Ravel’s Tzigane; and Franz von Vecsey (1893-1935), who became the second dedicatee of Sibelius’s violin concerto at the age of thirteen. Like many of Hubay’s most talented students, Stefi performed for appreciative audiences all across Europe throughout her childhood, even garnering a mention in the New York Times for her successes in Austria and Italy in 1902. Obviously there was a great deal of talent at the conservatory. That talent attracted an eighteen-year-old pianist from the tiny town of Nagyszentmiklós named Béla Bartók. Bartók had also been accepted at the perhaps more prestigious Vienna Conservatory, but, fatefully, he followed his friend Ernst von Dohnányi to Budapest instead to study under a student of Liszt. Bartók had dreams of becoming an internationally acclaimed piano virtuoso, but unfortunately his health did not cooperate. He came down with a case of pneumonia so severe that the doctors gave up on his life. A long rest in the pure air of the mountains, combined with the attention of his beloved mother, were the only things that saved him from a premature death. It is unclear when and where Stefi and Bartók met for the first time. It seems likely, given their mutual association with the Budapest conservatory, that they had at least heard of one another before meeting. 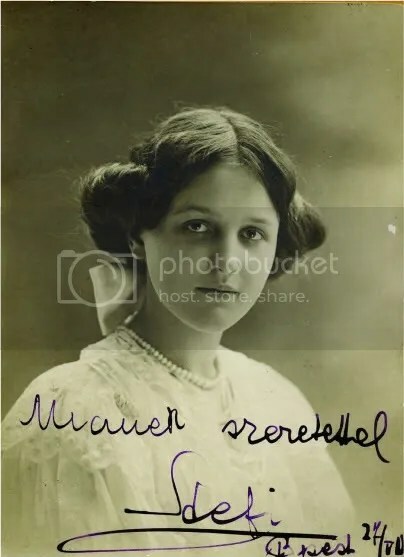 In a later letter Bartok called Stefi a “14-year-old elfish little girl, whom I met in Jászberény.” If he was remembering correctly, that would place their first meeting sometime around 1902. Stefi had relatives in the Hungarian town of Jászberény and would often go there to visit. Perhaps the twenty-one year old Bartók had been among the classmates invited to join her. In 1903 Bartók ended his studies at the conservatory and embarked on his career as a concert pianist. That same year he wrote a symphonic poem called Kossuth, an homage to the Hungarian Revolution of 1848, and a sign of Bartók’s – and the region’s – ever-increasing feelings of nationalism. In 1904, while on vacation in Slovakia, he famously overheard a Transylvanian nanny singing folk songs to her charges, an encounter that would spark a lifelong passion for folk music. It wasn’t long before he was getting together with a friend, a fellow composer named Zoltán Kodály, and going out to rural communities to document the region’s musical heritage. In 1905 he was offered a job at his alma mater as a piano professor. He accepted. Once again Bartók and Stefi’s paths must have crossed. It is uncertain exactly when, where, and how, but they eventually became good friends. By early 1907, when Bartok was twenty-six and Stefi nineteen, they were meeting one another to play through the violin and piano works of German composer Max Reger. That summer, Stefi and her brother went to Jászberény to visit their aunt. Bartok came along, ostensibly to gather folk song. The nineteen-year-old Stefi Geyer was an extraordinary person and violinist. Even in a studio as crowded with talent as Hubay’s, she stood out as one of the conservatory’s most exceptional students. She had already played a wide variety of repertoire throughout Europe, and had even recorded in 1906, back in the days when recording consisted of playing an unedited take into a giant horn. She was very pretty, with blue eyes and blonde hair that she wore in two small buns on either side of her head. That beauty, combined with her grace, cleverness, and talent, proved alluring. On June or July 1, 1907 (depending on what source you read), Bartók began to write a violin concerto with Stefi in mind. He left Jászberény to continue gathering folk song in Transylvania, but the concerto – and the girl – was always in the back of his mind, as evidenced by the letters he wrote to Stefi that summer. The letters are long, passionate, and wide-ranging: they are Bartók at his most open and unguarded. Sadly, however, we have lost Stefi’s replies, so it is a one-sided conversation. At the beginning of their relationship, Bartók wrote mainly of music – Wagner, snippets of the concerto in-progress, the characteristics of the folksong he was studying – but by late summer, he had moved beyond music to speak of his own personal beliefs about religion and society. “The middle class, which stands between the highest people and the peasant class, is, owing to its stupidity, actually unenjoyable. We like the childlike naivety of the peasants, which manifests itself in everything often with primitive strength; the intellectual strength of the highest people is impressive, but the idiocy of the middle class – including most of the ‘gentry’ – which lacks natural naivety, is insufferable,” he wrote. This was probably not the wisest thing to write to a middle-class girl he wished to woo. Some historians, if they mention Geyer at all, imply that she toyed with Bartók. Sentences like “Violinist Stefi Geyer, whom friends remember as a dark, rapt beauty, a trifle spoiled by her early musical success, and more interested in her career than in young Bartok” are not uncommon (although, thankfully, that is an extreme example). But without having Stefi’s side of the story in writing, there is insufficient information to make such claims. The side of the correspondence that we do have – Bartók’s – makes it clear that their relationship was likely doomed from the beginning, thanks to fundamental differences in worldviews. Throughout his turmoil, Bartók continued writing the concerto. The first movement was to be a portrait of Stefi Geyer as person and woman – “the idealized Stefi, celestial and inward,” Bartók wrote. Stefi herself later described it as a portrait of “the young girl he loved.” The movement is lush and romantic, with touches of Wagner. The gentle opening theme is pianissimo, and stated alone by the solo violin. David Oistrakh in the first movement of the concerto. This first movement makes it clear that in Bartók’s ideal world, Stefi Geyer would be a gentle, acquiescent figure. One cannot help but think of the widely cited Victorian ideal of womanhood: the gentle, unassuming “angel of the house.” Unfortunately for Bartók, Stefi Geyer had already defied that stereotype from an early age, simply by taking her violin studies seriously, and taking Europe by storm as a prodigy. The second movement was to represent Stefi Geyer as the elfish, witty, sparkling virtuoso violinist. “Cheerful, witty, and amusing,” Bartók called it. Stefi referred to the movement as a tribute to “the violinist he admired.” Its main theme is actually the theme of the first movement, only slightly tweaked and turned around. Once again, the violin enters by itself, but this time it is a brash forte, totally different in character from the theme of the innocent angelic girl. David Oistrakh in the second movement of the concerto. Was Bartók making a statement here, even subconsciously, that two parts of Stefi Geyer – her womanhood and her career – were diametrically opposed? Interestingly, after a variety of virtuoso fireworks, the last phrase the violin plays in the entire concerto is a return to that lush, romantic “idealized” theme of the first movement. Is this Bartók indulging in one last vain hope that the independent virtuoso violinist might succumb to the gentle, acquiescent, ideal girl? It is impossible to know. As the autumn progressed, the strains in their relationship became more and more obvious. Bartók wrote in late November 1907, after working on the first two movements, that “Now, I should compose a picture of the indifferent, cool, silent St. G. But this would be hateful music.” Ten days later he wrote, “You are a dear, a good, a fairy-like, an enchanting girl! who has only to draw a few lines to chase the dark, grimly swirling clouds from the sky and makes the bright sun shine on me. – You are a taciturn, a bad, a cruel, a miserly girl! to begrudge me your powers of enchantment!” Finally he came to the conclusion – no doubt to Stefi’s relief – that he was not going to write the intended final “hateful” movement. But this decision didn’t keep Bartók from composing something to express his feelings over the failed relationship. The last of his Fourteen Bagatelles for piano is a bitter waltz that employs the theme from the violin concerto. He later orchestrated this and used it as the second movement – “Grotesque” – in the Two Portraits. (The First Portrait is basically the first movement of the violin concerto, so he was certainly thinking of Stefi as he wrote.) Some have even theorized that this “Grotesque” movement was originally conceived as the third movement to the concerto. Two Portraits, Op. 5. At 10:25, the second movement, “Grotesque,” begins. You’ll notice the first movement is basically the first movement of the violin concerto. Things only got worse between the two of them. In early February, Bartók finally finished the violin concerto. On the same day, Stefi Geyer wrote him that she could not consider courting or marrying him. He wrote, “I finished the score of the violin concerto on the 5th of February, the very day you were writing my death sentence… I locked it in my desk, I don’t know whether to destroy it or to keep it locked away until it is found after I die and the whole pile of papers, my declaration of love, your concerto, my best work are thrown out.” But thankfully for us, instead of destroying the work, he mailed the manuscript – the only copy he had – to Stefi, inscribed with a line of poetry from Béla Balázs: “No two stars are as far apart as two human souls.” Bartók would employ the poetry of Balázs in later compositions, including Bluebeard’s Castle and The Wooden Prince. Around this time, Bartók began writing his first string quartet. True to his word, in the first movement he employed Stefi’s “virtuosic” theme and turned it into a mournful dirge. The first movement of the first string quartet – the movement Bartok referred to as his funeral dirge. As no one but the two of them had seen the score to the violin concerto, audiences listening to the quartet were unaware of the significance of this first theme. They would, however, have recognized a quotation in the third movement of a popular art song called “Just A Fair Girl.” Some historians have interpreted this as a defiant “toss of the head” to Stefi. The following year, in 1909, Bartók went on a walk with a teenaged girl named Márta Ziegler, one of his piano students at the conservatory. He had met Márta, the daughter of a member of the Budapest police force, at the age of fourteen. The similarities to Stefi are striking. After they returned from the walk, Bartok’s mother asked if sixteen-year-old Márta was staying for dinner. He answered that they had just gotten married. Bartók later dedicated the opera “Bluebeard’s Castle” to Márta. Even in this opera, there were traces of the “Stefi Geyer” theme, but by now it reminded him of more than just his first love: it served as a compositional shorthand for many complex emotions. A few months after breaking things off with Bartók, Stefi finally met her long-time admirer in July 1908. Immediately Schoeck began to write for her. First came a tiny Albumblatt, then a full-length Violin Sonata, and then an actual Violin Concerto. All three were dedicated to Stefi. He continued in his attempts to woo her throughout 1908, later claiming they wrote passionate love letters to each other. If they did – and historians are skeptical on the point – they were later burned by his wife. Adding weight to that skepticism is the fact that Schoeck complained to others that all the physical contact he had been able to wring out of Stefi was a chaste kiss, and that Stefi was his only female friend that had not at some point made a pass at him. Sometime around 1910, Stefi Geyer became engaged to Viennese lawyer Erwin Jung. Predictably, Schoeck referred to him as a “Viennese ponce” – or a person who fakes having class or culture. During her engagement, she invited Shoeck to come to visit her and her family in Budapest. He accepted the invitation, went to Budapest, wrote an unconvincing postcard to his friends that he had gotten over her, came home, and then promptly began writing a violin concerto for her. While he was writing the piece, he began rooming with a Russian medical student named Bertha Liebert. She soon became pregnant, but the baby died the same day it was born. He nonetheless continued to sleep with Bertha while hoping against hope that he could seduce Stefi. To Schoeck’s dismay, Stefi married in 1911 and relocated to Vienna, where she took the name Stefi Geyer-Jung and taught. Unfortunately her marriage with Jung was not a happy one, and he eventually began drinking heavily. Throughout this turbulent time Stefi continued with her career, touring throughout Europe and even playing a concerto in Budapest that her old teacher Jenő Hubay had written for her. Hubay’s fourth violin concerto, which was dedicated to Stefi. During the late teens, perhaps spurred in part by the war and her unhappy marriage, Stefi seems to have reconsidered the direction of her career. She began studying with violinist Adolf Busch in Budapest, learning new repertoire and new styles of playing. In the process she switched the emphasis of her repertoire from virtuosic Romantic pieces to more restrained Classical ones. Her pace of touring did not diminish throughout the twenties. In fact, she gave more than a hundred concerts in Scandinavia in the 1922-23 season alone. In 1924 she traveled to America, but reviews of her performances there have not surfaced. She performed many concertos with all of the major Swiss orchestras, and even performed the violin concerto Schoeck had written for her with Schoeck at the podium. During the thirties she recorded a good deal, and today we have records of her interpretations of Bach, Beethoven, Mozart, Haydn, and even Schoeck. They are difficult to find on disc, but well worth scouting out. Although Stefi and Bartók had parted fifteen years or so ago under less than amicable circumstances, they apparently somehow reconciled in the teens or twenties. In fact, by 1928, Bartók, Stefi, and her husband were all writing friendly letters to one another. Schulthess and Stefi often played his compositions, and in 1929 Stefi performed in a recital that consisted of all Bartók’s music. In 1940, she even helped Bartók and his second wife Ditta emigrate to America to escape the turmoil enveloping Europe, and she would often introduce her students to this extraordinary man and composer. Stefi Geyer died in December of 1956 in Zurich. Somehow after her death her friend and fellow musician Paul Sacher retrieved the manuscript and the letters from Bartók that she had kept locked away for so many years. Sacher was the conductor at the world premiere of the piece in Switzerland in 1958, and in the spring of 1961 Isaac Stern gave its American premiere at Carnegie Hall. Although it is not heard as often as the Second Violin Concerto, it is still occasionally revived today.